Wistle Cottage in Barnoldswick, near Skipton, Lancashire sleeps 2 people. 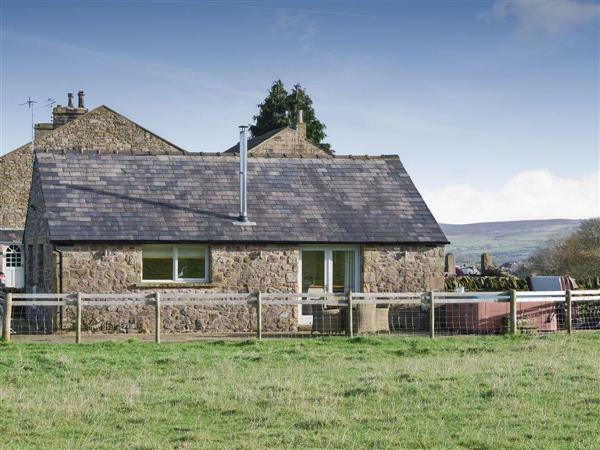 Wistle Cottage near Skipton is a detached, stone built cottage, which has been lovingly restored by the owners from a former livestock building. Set in a peaceful location on a working sheep farm and boasting wonderful views of rolling countryside. 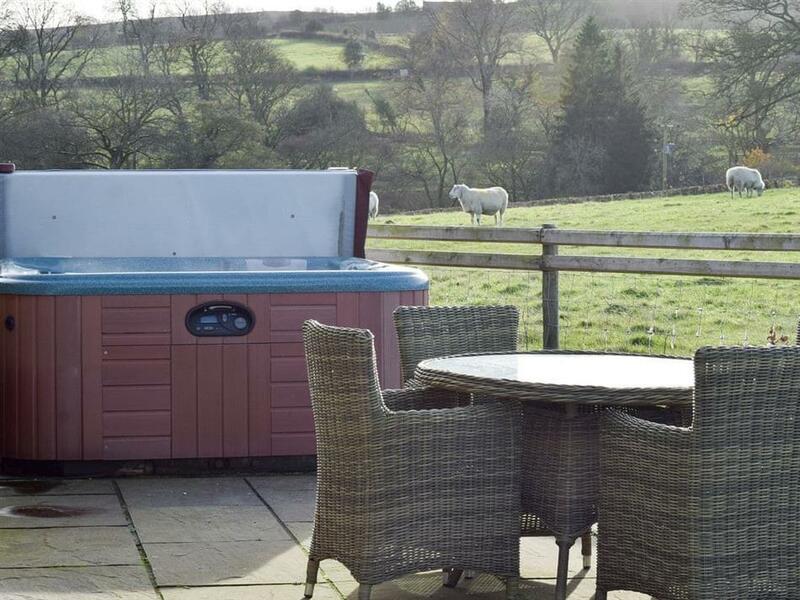 From the patio and welcoming hot tub you can enjoy views of Weets Hill to one side and Ingleborough and Pen-y-ghent to the other, whilst the sheep graze in the field in front of you. Wistle Cottage is set in a perfect location on the outskirts of the old market town of Barnoldswick, and just 8 miles from the popular market town of Skipton. There are an abundance of walks to enjoy in the area, as well as having walks from the doorstep to the summit of Weets Hill, where on a clear day you can see as far as Blackpool Tower. The popular Yorkshire Three Peaks can also all be reached within an hour. Other attractions nearby include the beautiful Forest of Bowland, an Area of Outstanding Natural Beauty, offering riverside walks and an abundance of local cuisine in the many pubs and restaurants. The market town of Clitheroe, boasting a wide range of individual shops, bars and restaurants, is just 13 miles away. This is a perfect hidden gem, in a perfect location for exploring both Yorkshire and Lancashire, whilst providing a high standard of accommodation, and a relaxing hot tub to recharge after a day out exploring this wonderful area. The shop, pub and restaurant are ½ mile from Wistle Cottage near Skipton. Wistle Cottage is all on the ground floor. Living area: With wood burner, 40’’ Smart TV, DVD player, Bluetooth speaker and double sofa bed (for flexible sleeping arrangements). Bedroom: With zip and link super king-size bed (can be twin beds on request). Electric central heating, electricity, bed linen and towels included. Initial fuel for wood burner included. Welcome pack. Patio with garden furniture. Hot tub for 6 (private). Private parking for 2 cars. No smoking. Holidays at Wistle Cottage run from Monday to Monday. For a better idea of where Wistle Cottage is, you can see Wistle Cottage on the map below. Wistle Cottage is in Lancashire; should you be on the lookout for a special offer, you can find all the special offers in Lancashire. It's always worth checking to see what is on offer at the moment. Do you want to holiday near Wistle Cottage (UKC2634), you can see other cottages within 25 miles of Wistle Cottage; have a look to find your perfect holiday location.